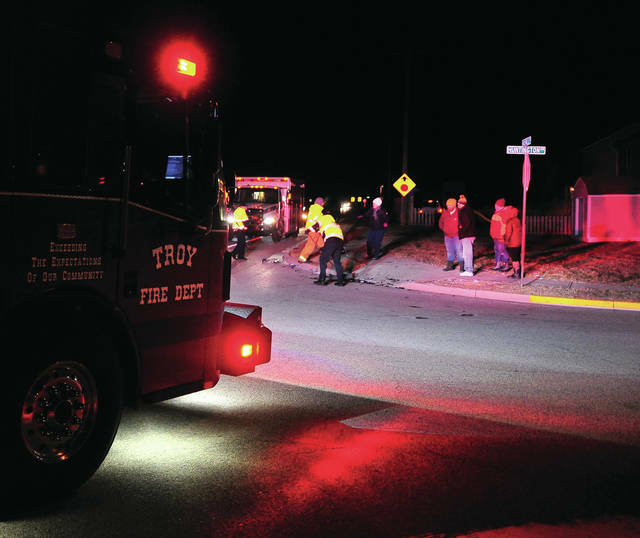 Troy Fire Department, medics, and police work the scene of a two-vehicle crash at the intersection of Nashville Road and Huntington Drive on Wednesday evening. One victime was transported to Upper Valley Medical Center for treatment. 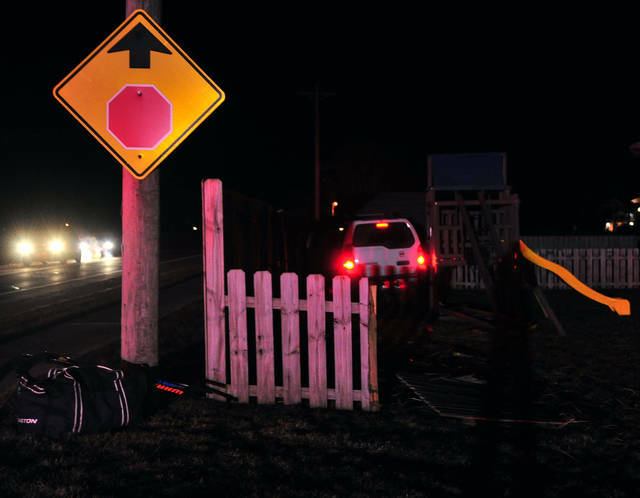 TROY — One person was transported to Upper Valley Medical Center following a crash at the intersection of Nashville Road and Huntington Drive on Wednesday evening. Troy emergency responders were dispatched to the intersection shortly after 8 p.m. on a report of a multiple vehicle crash. Troy police arrived to find two vehicles with heavy damage. One was still on the highway and the other had gone through a yard and a fence before coming to rest in another yard, next door. The female driver of one of the vehicles sustained non-life-threatening injuries and was transported by Troy medics. The crash in under investigation by the Troy Police Department. 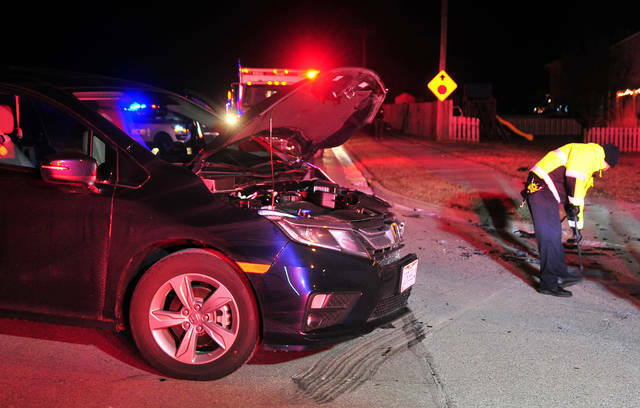 https://www.dailycall.com/wp-content/uploads/sites/30/2019/01/web1_013019mju_crash_nashville.jpgTroy Fire Department, medics, and police work the scene of a two-vehicle crash at the intersection of Nashville Road and Huntington Drive on Wednesday evening. One victime was transported to Upper Valley Medical Center for treatment.